This beautiful beach home gets it name from the Greek word "Panacea" which means "a cure for all earthly ills". A relaxing getaway in this magnificent home certainly fits that description. Newly renovated from top to bottom, this home boasts all new stainless appliances, all new furniture and bedding, new bathrooms, etc. It is totally updated to offer a very elegant beachfront lifestyle. The owners also include use of their kayaks and a stand up paddle board.. The upstairs bedrooms have access to a private sundeck...downstairs there is another sundeck for outdoor dining or watching the waves. 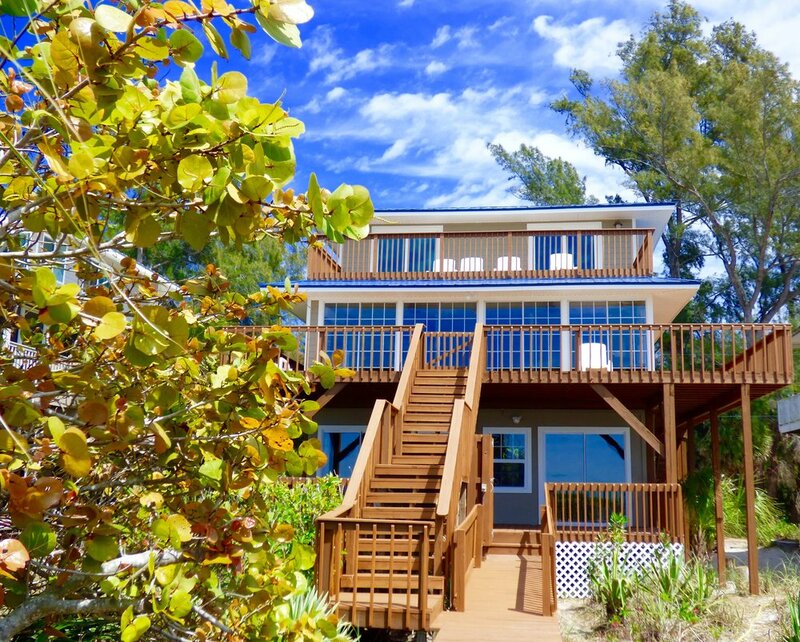 A private boardwalk leads to a pristine stretch of Little Gasparilla's private beach. This stunning home is brand new to the rental market and will surely become one of the most popular beachfront homes.